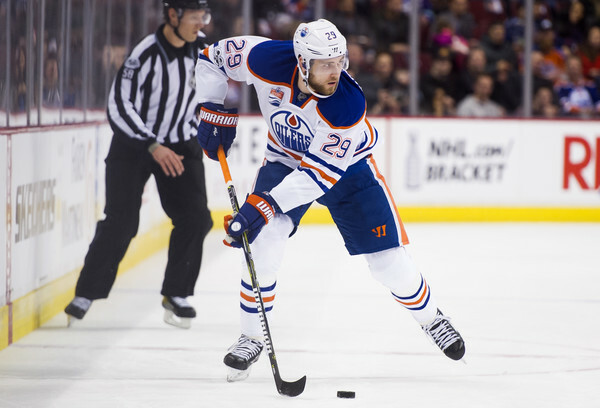 Draisaitl, who turns 22 in late October, was the third overall pick in the 2014 NHL Draft. He posted 77 points in 82 regular season games last year with Edmonton before tallying 16 points in 13 postseason contests. Edmonton has now locked-up their two best young forwards – Draisaitl and Connor McDavid – to a combined $21M cap hit annually starting in the 2018-19 NHL season; Draistail’s new contract begins with the 2017-18 season, while McDavid’s begins next year. Hmmmm 2 stats at $21mm. I think I know this song. Agreed=we paid for what they had done and what they would probably do in the immediate future and the Oilers are paying for what (hopefully for them-although McDavid as close as you can get to a sure thing) they will become. Not being critical-19 and 88 were the franchise makers when the decision made. The Oilers will be a very good team imo. Big price tag for a very limited sample size. Had an electric playoff, Oilers should be good for many years to come if he continues getting better with those 2 driving the car. Expect to see an Edmonton v Toronto cup final in the not too distant future. Edmonton yes, maybe not Toronto. Mcdavid and Draisatil 0 cups thars the biggest difference until that changes. Wall when your buying something do you buy it sight unseen or on delivery. Jonathan Toews and Patrick Kane are going to be dominating the Western Conference for another eight years with the Blackhawks. It will cost Chicago a mere $168 million. The above was the sub-title after the signing–the deal was necessary for not only the next Cup in 15 but as a reward for what they had done to the franchise but not sure if the 8 years of dominance will occur? The Pens seem to be, of the two, better able to get a 4th. With Murray barely out of his rookie status and Letang probably back and healthy–and Sid and Malkin they will be tough again. Don’t like the Kessel act but he seems to be the perfect side-kick to the stars, not the main star. Hornqvist is a horse and a key to their game. Can they do three in a row? Not likely but in the next two or three years they may add a 4th. If I was a betting person the Hawks wouldn’t be in my top 5 teams going into this year. At least an argument can be made for top 10. Then I have the Hawks in a list of 11 teams to fill out the top 10. Some interesting teams like the Lightning, Edmonton, Ottawa etc. etc. isn’t it time for single game tix to go on sale?? Love your optimism but TOEWS dominating for the next 8 years? Wow! Maybe Kane continues to get 80 pints a season for the next 2-3 but Toews has averaged under 60 points the last 3 years???? 10.5Million??? Unless the rookies make the team and perform, HAWKS will sneak out of the top 10 teams in the NHL. I don’t agree with the sky is falling portrayal of Toews, as neither did I agree with Crosby’s press on his diminished skills a few years ago. To bring 3 seasons ago into equation which was right up with his best is ludicrous and in the following season he still put up 28 goals which is in keeping with his career average. His assists did decline with Hossa struggling that season and the revolving door on LW with Dano, Garbutt and Desi among others chemistry wasn’t there, Shaw wasn’t the answer either nor did Ladd make it alot better. Last season he sttruggled to score early and missed some time but seemed to find some chemistry with Panik and had a better 2nd half and wasn’t all that far off career averages. With return of Saad again and likely having 2 wingers he is comfortable with, his offensive should be back to normal. He still remains one of top 2way centres in the league and thats not changing. 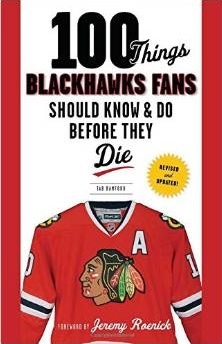 In 2010-11 & 2011-12 when Blackhawks were eliminated in 1st round after winning 1st cup he had 8 pts. In 13 playoff games and last 2 playoffs 8 pts. in 11 games, just saying. Totti that was an article by Goetz in 2014, you realize that right?–the point was I don’t share that optimism. Kane is magical so he will continue to be one of the best for a few more years–19 plays the wrong type of game to stay healthy/fresh and does many things that will still help and go unnoticed by most but he won’t be dominant. They are in the middle of the pack, and that’s the new reality. They may or may or may not be a top 10 team this year–depends on many things including growth of the young kids, how Crow plays and general health of the core. I share the thought of some that get into the playoffs, having a great regular season is meaningless–then see what you can do. Noonan Crosby with his concussion injuries was considered done too but we know what happened so Toews certainly has a few good years left. As far as where the Blackhawks rate ,this season will be tough and depend on what ltir room provides but the retooling for next few years with no big contracts up is in place. The hiring of Samuelsson and Granato should pay huge dividends with the younger players. Ian you are right 87 has been an exception and hopefully 19 can bounce back-he is still good and quite valuable but remember a couple of years ago it was who’s better 19 or 87-boy has that changed. Let’s hope he finds his legs and that COACH Q stops burning him out on the PK (like he was doing with HOSSA which was ridiculous). You think JAGR played the PK at HOSSA age? Highest point total for Toews is 76 points! Once in his career over 70! Last 4 years …. 68, 66, 58, 58!!!! This is not CROSBY! Love TOEWS but let’s be real! And 1 goal in the last 11 playoff games??? I do blame COACH a little for the TOEWS OVERDOSE in PK!!!! Let the 4th line players play the PK…. SOmetimes HAWKS were leading by 2 or 3 goals and TOEWS / HOSSA still killing penalties….? Why? Looking forward to see where SCHMALTZ fits in. Totti in 2015 cup year 66pts. You corrected yourself. No Toews offense is not as high Crosbys but if you look back to Canada cup Toews was leading scorer in tournament outside of Crosbys line and was asked to play against other teams top centres to shut them down not Crosby because he is not Toews.